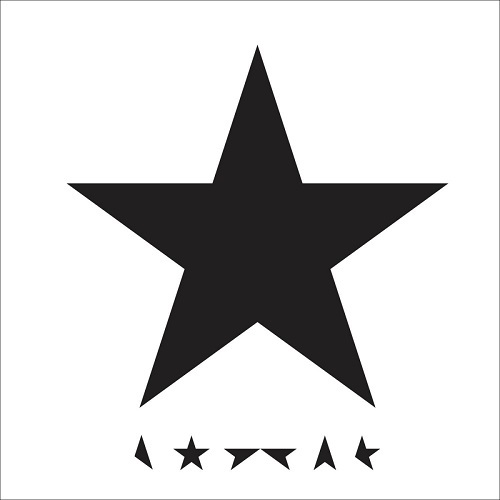 Released just 2 days before his death, David Bowie’s final album “Blackstar” is a brilliant last act. Recorded with the help of some stellar musicians and featuring lyrical and sonic moments that sounded great on Saturday afternoon and now on this chilly Monday are hauntingly perfect. It’s a VERY good album. It is stunning and chilling, and yet uplifting and thrilling. I’m not going to quote lyrics here. I want you to hear and feel them directly. I’m not going to break it down track by track, I’m not writing a review. I am just saying, when you are ready, after you have listened to your favorites from the past and walked down memory lane, put on your best headphones, sit down in a comfortable chair, bring some Kleenex just in case, strap in and Sit with this album. You know, the way we used to do it. Take this final trip, just you and David. “Desire” Holy Crap! 40 years??? In the 1970’s as a 1960’s informed and inspired teenager, I latched onto the music and message of Bob Dylan. I had worn the grooves out on “Before the Flood” and “Blood on the Tracks” when, on this date in 1976, Bob Dylan’s album, “Desire”, was released. I had heard all about the recording in advance via Rolling Stone and my local progressive FM radio station, Starview 92, and knew the story of Ruben “Hurricane” Carter and was excited to hear that song and the full album. Within days I purchased my own copy at Mailman’s Department Store and listened to it over and over, absorbing all the brilliant word play and being mystified by some of the references. Initially the opening track “Hurricane” was my favorite song. But it is the second song “Isis” that grew to be not just my favorite on the album, but one of my favorite songs by anyone, ever. Isis is truly epic, a long song of love won, lost and regained, of adventure promised and dreams dashed, of howling winds and outrageous snows. As much as I love this song, the live version from the Rolling Thunder Revue Bootleg series album is so much better. Recorded in the Fall of 1975, over a year earlier, this version crackles with an intensity far beyond the studio recording. The beat drives harder, the violin soars higher and the vocal performance is one of the best he ever recorded. Meanwhile, back on Desire… “Mozambique” follows and it is kind of palate cleanser, a light hearted song about being on a sunny beach with lovely people, and seeing how many things rhyme with “ique”. “One More Cup of Coffee” returns to the emotional intensity. A man has to do what a man has to do, but one more cup of coffee before I go… into the valley below. “Oh Sister” closes side one and I never really liked it that much. I listened again today and still… not so much. Side Two opens with “Joey” a 9:14 long story of the notorious New York gangster “Crazy Joey” Gallo. At the time, this song perplexed me. “Why would he devote 9 minutes to a long slow song about a murdering mafia guy?” I didn’t get it then, but I get it now. I do recall being in Little Italy one day back in the 1980’s and walking past Umberto’s Clam Bar, the spot where Joey was killed, and thanking Bob for the education. “Romance in Durango” and “Black Diamond Bay” both have their charms, but the album closer, “Sara” a love of a lifetime song to his then wife is the revelation for me. 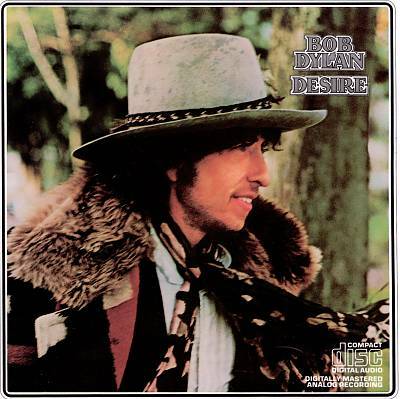 The marriage was a rocky one, and this song, like no other Dylan song before or since is direct and personal and without persona or artifice. He was trying hard to hang on and this song put it all on the line, but a year or so later the marriage finally fell apart for good. At age 17, this song was a bit of a bore to me, 40 years later, it just blows me away. Great art stands the test of time. Often that means that new listeners can appreciate something created long before they lived, like the music of Mozart or Miles Davis or the Beatles. But on a personal level, music that stands the test of time doesn’t mean that it takes you back to where you were and who you were when you first encountered it. It means that the art meets you where you are now. The lyrics resonate in new and often more powerful ways, the familiarity of an old favorite is imbued with new meaning, the song is ALIVE. So, yeah. “Desire” stands the test of time. Today Rolling Stone is also writing about this classic. Read the cool stories about the making of the record. On this day in 1976, after narrowly escaping a run-in with Woody Allen outside of Elaine’s, Steve Miller was arrested by the music police and had his poetic license suspended for one year for the awkward rhyming of “Texas” with the grammatically incorrect “facts is” as well as “other people’s taxes” in his hit song “Take the Money and Run”. Summer 2013 kicks off with the upbeat and soulful sounds of Baltimore’s Shelby Blondell. Just off the heels of opening for 90’s pop sensation Aaron Carter at the Baltimore Soundstage, Shelby’s studio debut is finally out for the masses to enjoy. “Fly” features 5 songs, each in a unique style. Elements of folk, country, and pop, combined with Shelby’s standout voice create a fresh, yet familiar compilation of genres. This release has been a long time coming. Shelby has been writing and performing for over 3 years, and in a world of abundant trivial radio-pop, “Fly” is a breath of fresh air. Hear samples on the EP’s album page on iTunes, and then download them into your Summertime playlist. You won’t regret it. A Day To Remember will be going on tour this spring with Bring Me The Horizon,We Came as Romans, and Pierce The Veil. With the pre-sale starting tomorrow at 3 pm the dates were bound to come out sooner or later. We here at Dad's Car Radio are planning on going to two shows in the area, but of course these being close to home for the punk-pop quartet, they'l definitely be selling out fast. There is also a high chance the band will be playing Bamboozle, considering that there is no show May 1st or 2nd, and that they'll be in NYC on the third. Time will tell and if you are a member of The Hustler Club, here are the presale details. Today on BBC radio Taylor Momsen covered Cee Lo Green's hit song Forget You. Give it a listen and you can [download] it by following that link. AP Tour Bands Announced with Black Veil Brides and D.R.U.G.S. Headlining. Well sometimes you CAN trust rumors! Black Veil Brides and D.R.U.G.S. Are headlining the spring AP tour, with support from ISeeStars, Conditions, and VersaEmerge. All bands were revealed today off of fan twitters and re-tweeted by the official AP tour account. Recently Hey Monday spent some time over at Smart Punk and did a live acoustic performance of I Don't Wanna Dance. Check it out above and make sure to get Hey Monday's new EP now.